Get to know 10 inspiring high school students who are masters of their craft. Whether dominating the field, commanding the stage, excelling academically or empowering the community, these are the kids to watch. 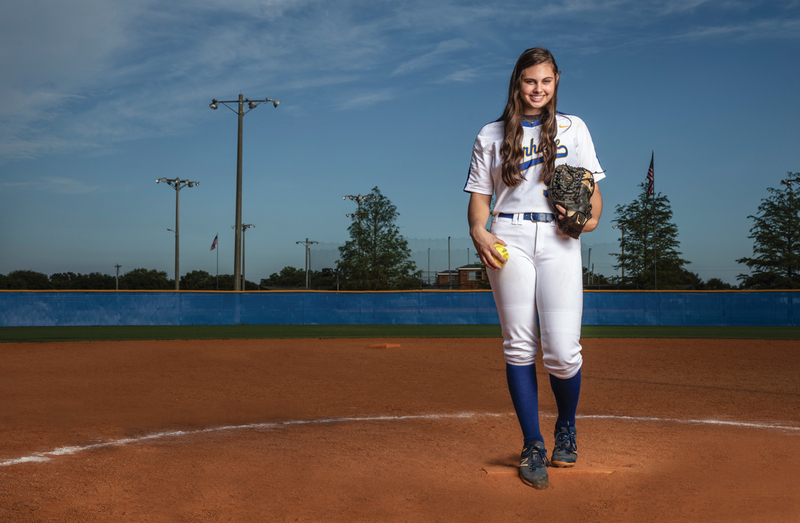 Alea, a pitcher for Fairhope High School’s varsity softball team, is one of the top fast-pitch softball players in the nation. Alea, who played varsity high school softball as an eighth-grader, helped the Pirates claim the 7A state championship last year and was named MVP of that game. She was the youngest player on the 2018 Coastal Alabama All-Region Softball Team. The freshman is already verbally committed to play for LSU. Only the top 1 to 3 percent of athletes her age are committed to a college team. Biggest Influence Alea’s dad is her chief cheerleader. “He’s always been there for me through everything, travels with me everywhere I go and encourages me when I’m down,” she says. 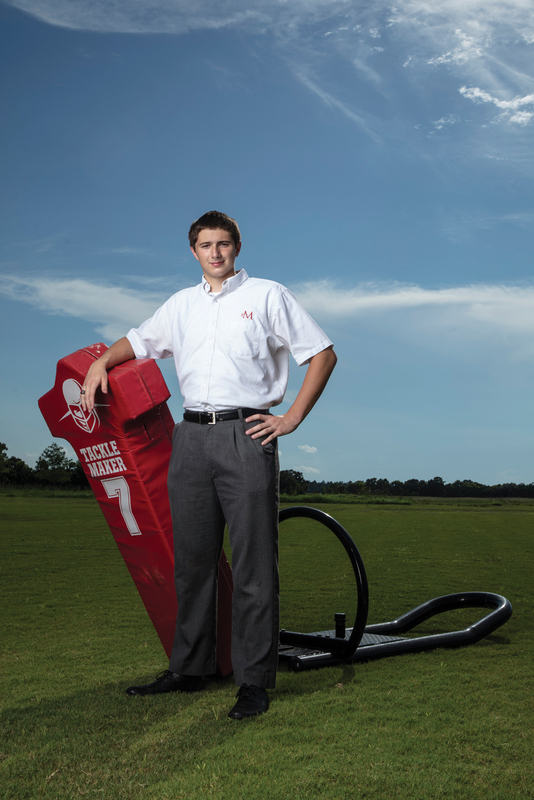 Alexander started at the new St. Michael Catholic High School as a freshman in August 2016. This year, he’ll start his senior year as a 16-year-old — he skipped 10th grade after scoring a 35 on the ACT as a freshman. Alexander took the test again last year and earned a 36 (a perfect score). And what’s even more remarkable? All he’s overcome in the midst of such high achievement. Alexander’s mother passed away in the summer of 2016, and he went to live with his close friends and neighbors, Tom and Dawn McKinney. “I’ve got two new parents I love, a new extended family and two new sisters,” he says. Alexander plans to major in aerospace engineering and minor in either materials engineering or ancient history. He’s interested in joining the Air Force after studying at MIT or Auburn. Proudest Moment Despite all of his academic achievement, Alexander says his proudest moment was the opening play of the first football game. “Getting to represent your school like that is a big honor,” he says. Alexander is starting left tackle for the Cardinals. In a time when many high schoolers are focused only on the present, Daisy Ferrell spends her time dreaming about the past and the future. She gives presentations about local history as an Oakleigh Belle and competes in the National History Day contest each year. Daisy faced a hard decision when planning her summer: participate in cheerleading or self-study for AP exams? 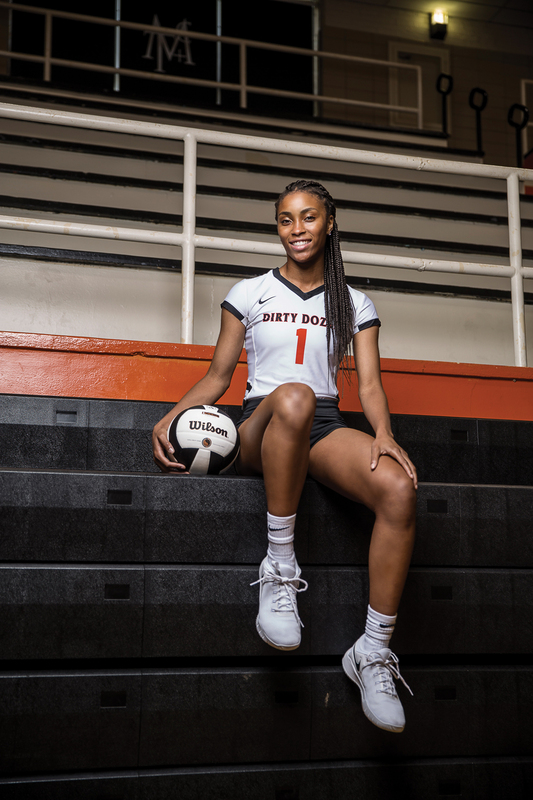 “I’m really interested in elite, Ivy League schools, and I don’t think I’ll be competitive enough with just three AP classes, so I am studying for a few AP exams on my own,” she says. Daisy has dreams of attending an Ivy League college and traveling the world. She wants to learn about the history of cultures across the globe and educate others about them. She thinks being an educator on the collegiate level would allow her to do that. “I want to help people in our country overcome xenophobia and understand people around the world are just like us,” she says. Daisy is inspired by her family of educators, including her mother and her aunt, Brittany Simmons. Brittany attended Columbia University but returned to south Alabama to teach high school. Daisy says her mom is her biggest fan, and Brittany always pushes her to achieve more. Volleyball talent runs in the family. Kenya’s mom, also a star volleyball player, was the first female athlete at her high school to earn an athletic scholarship. “I want to make history like she did,” Kenya says. Kenya is committed to play volleyball at Samford University in Homewood, Alabama. She loves children and is interested in pursuing a career in pediatric occupational therapy. For Charles, all the world’s a stage. 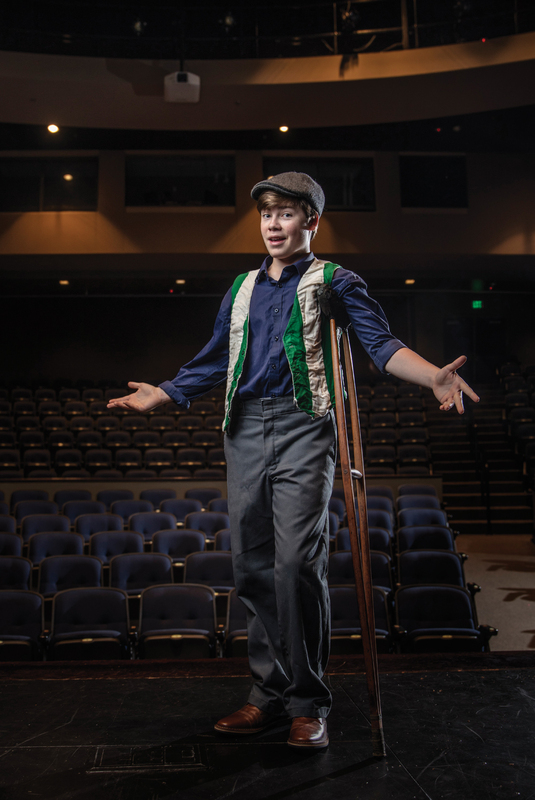 This rising 10th-grader already has a plethora of impressive performance experience, including acting in more than a dozen local theater productions, recording voice-overs for regional radio advertisements and competing in the Junior Theater Festival in Atlanta, the largest children’s theater competition in the country. Every summer, Charles travels to New York City to work for iTheatrics, a theater company that adapts Disney’s Broadway shows into shows for youth and young adults. “They film our productions and theater programs and use them as reference material,” Charles says. “It’s such great acting experience.” After leaving New York, Charles traveled to Los Angeles to participate in the Ambassador Leadership Summit. Brigham is well on his way to rocking a career in music. 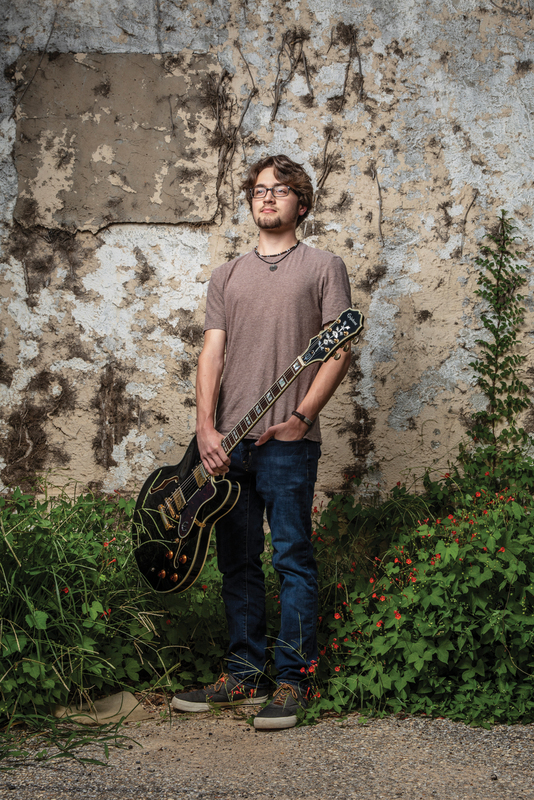 He’s been a percussionist since fifth grade and taught himself to play guitar at age 12. In addition to being a passionate member of the McGill-Toolen Catholic High School symphonic and marching bands, he recorded and released an original self-titled album in Muscle Shoals at Fame Studio and Big Star Recording. Brigham spent his summer playing music gigs, promoting his album and preparing for college percussion auditions. His top choice for studying music is Belmont University in Nashville. “I’d also like to keep playing percussion instruments, particularly marimba,” he says. Leadership comes naturally to Perry. “Being a leader isn’t about being the center of attention,” she says. “Good leaders lead from behind.” Her list of leadership roles is extensive: she served as captain of the St. Paul’s basketball team as a junior, was selected as her high school’s representative at Girls State, served on the prom committee and won a prestigious Jefferson Book Award for her excellence in citizenship, leadership and academics. Perry works hard and plays hard. 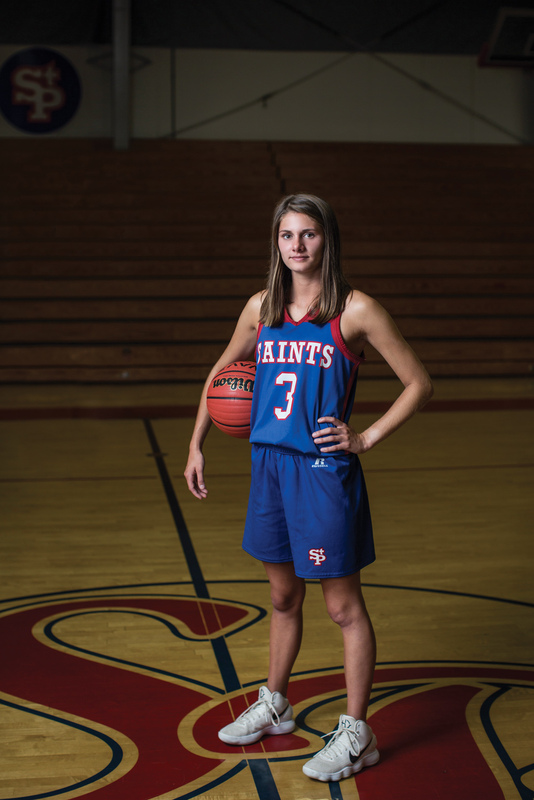 Her summer was booked with three weeks of basketball scrimmages, a Habitat for Humanity service project, representing St. Paul’s at Girls State, attending YoungLife camp and vacationing to Jackson Hole, Wyoming, and Greece. Perry plans to study biology and wants to apply to medical school. She says she sees herself getting involved with student government at whichever university she attends. Megan makes math sound easy. “Everything can be proven,” she says. “That really clicks in my mind. Every answer has really solid reasoning behind it.” No stranger to advanced courses, she looks forward to taking AP Calculus and AP Chemistry this year because they’re logical and deductive. Megan’s parents, both doctors, are extremely involved with medical mission trips. They’ve inspired her to pursue her own career in medicine and have given her the opportunity to serve with them in Peru, Haiti and Belize. “I would love to follow in their footsteps and return to the mission field one day as a medical provider,” Megan says. Megan has received scholarship offers from Furman University and is also interested in applying to Wake Forest. After that, medical school. Mya is a high-achieving student who loves to learn and study. 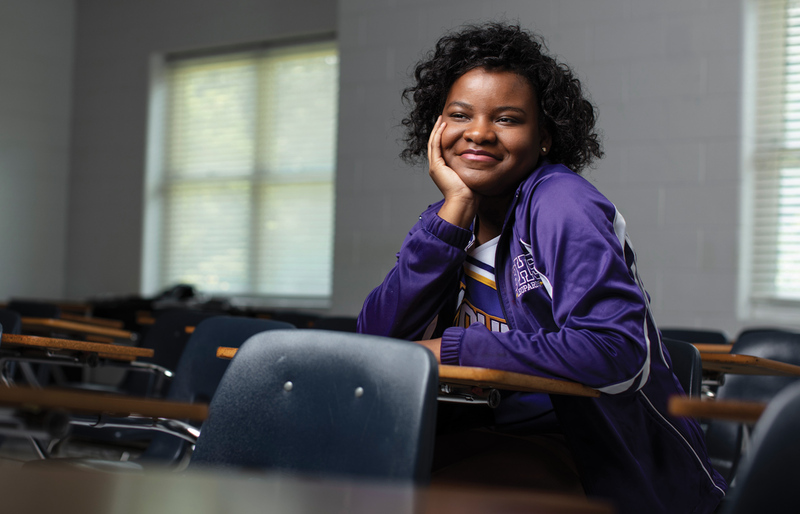 As she enrolled in AP classes, she noticed she was one of only a few African-American girls in these advanced courses. “I wanted to know why,” she says. “I researched and realized this is not just a problem at my school. Unfortunately, a lot of African-American girls are not exposed to the same opportunities as I have been.” Mya decided to do something about it and has worked tirelessly to inform and inspire other students to enroll in advanced coursework. Mya helped start a program for at-risk female students called Leaps for Girls. She spent her summer taking the girls in the program on both fun and educational field trips, like to city council meetings. She also works part time, is studying for the ACT and was the guest speaker at a local church’s youth leadership conference. Mya received the prestigious “This is Us” award from Mobile County Public Schools, but says she felt proudest when a fellow student said Mya inspired her to enroll in an AP class. “I hope that is just a foreshadowing of what’s to come,” Mya says. Mya plans to attend Auburn University and knows she wants her career to focus on community involvement. Olivia has been swimming since age 4. “When I was 12, I started getting better and better, and I realized I was really looking forward to every practice,” she says. Olivia has spent most of her free time in the pool since then. She swims year-round for the City of Mobile Swim Association in addition to competing for the Daphne High School team. An excellent student, she is enrolled in Daphne High School’s International Baccalaureate program. At age 14, Olivia won her first big race — the 200-meter backstroke at the Southeastern Championships. Olivia plans to swim competitively in college while studying veterinary medicine or pharmacy. Her top three schools are Tulane University, Kenyon College and Rice University.